~ 1 more week until Fall Break! Can't. Wait! ~ Things are still crazy busy at work. I thought they were going to slow down after Break, but things keep popping up...like kids needing IEPs. ~ I'm just really glad I have a decent intern this semester. She's very enthusiastic, and is a real go-getter. ~ 100 days 'til Downton Abbey!!! 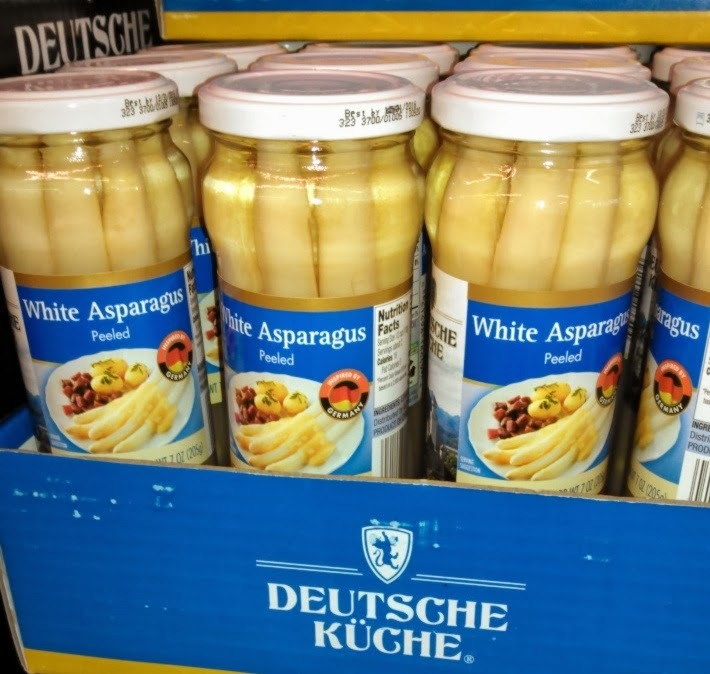 At Aldi: "Spargel" was very popular in Germany when we were there. I tasted this while I was there, but couldn't bring myself to actually buy any when I saw it the other day. 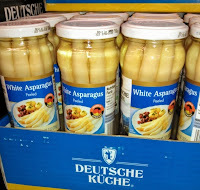 Also in Aldi: Something else that I had in Germany. 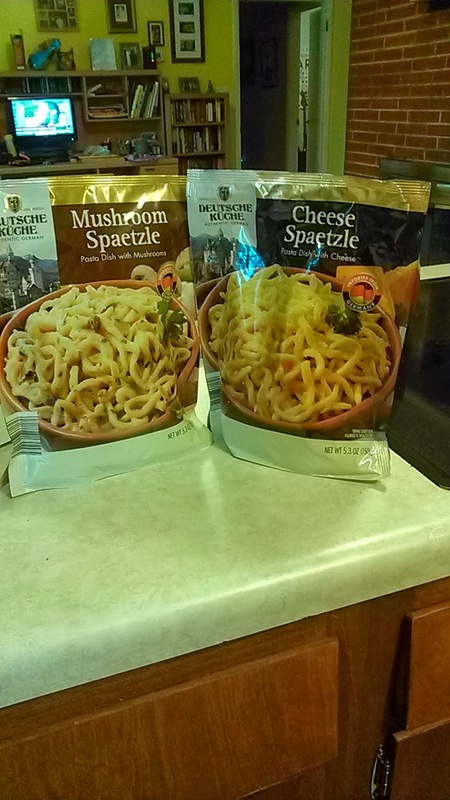 Spaetzle is like an egg noodle. I haven't tried this yet...maybe over the weekend. I saw these in Kroger. 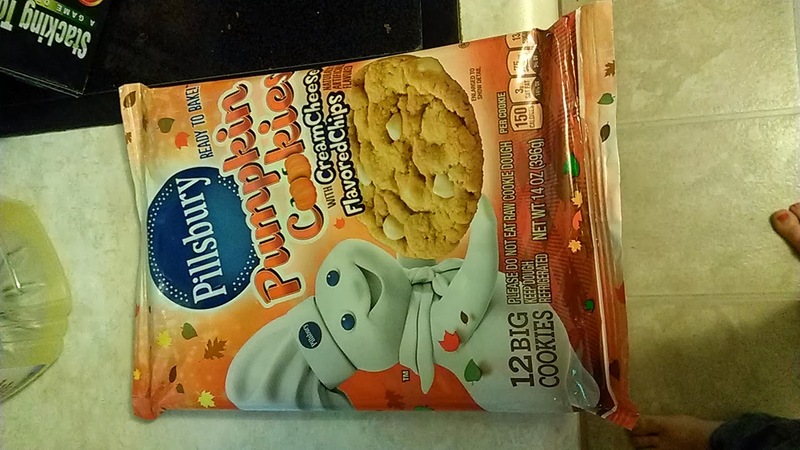 If you like pumpkin, you'll love these! ~ I'm looking forward to a nice quiet weekend; what are your plans? YES!! Downton Abby!!!!! Bring it on!! Fall break already, that seems early to me. I can't wait for Downton Abbey. A woman I bowl with already has it on something called Droid TV! The year I worked in your county I was FULL TIME in the Preschool Handicapped program, which at the time was housed at Everett. Twenty kids, three teachers, three aides (not all full time), a part time PT, a part time OT, and a full time SLP (me). I sat in circle time with them and was with them at lunch. I saw every student individaully several times a week. Yes - just by having the special ed preschool you are overworkd, the other school is just mean! Prayers for a smooth final weeks before and a great fall break!!! Too bad The Man hates pumpkin (I know, right?!?!). I'd make those for him and ask him to enjoy them for me :). Now I need to go find a gluten-free pumpkin cookie recipe :). I'm also so excited for Downton Abbey! Enjoy your weekend and your food finds. I don't understand why speech teachers have such incredible caseloads! Is an intern a student teacher? Here's hoping this week goes by quickly and you can get that much-needed break! Thanks for linking up. Off to find your other blog!